Home » Posts Tagged "preserving food"
January and February aren’t my favorite months of the year. It’s the middle of summer right now and I know it’s hard to remember what those months are like. But they’re the opposite of now – cold, gray, snowy. And did I mention cold and dark? When January comes I’ll be so glad that I made the effort to can some summer fruits this month. I also have a lot of childhood memories of my parents spending many hours canning food on the weekends. So canning my own food makes me feel connected to summer, my parents, and my childhood. That’s pretty cool in my book! 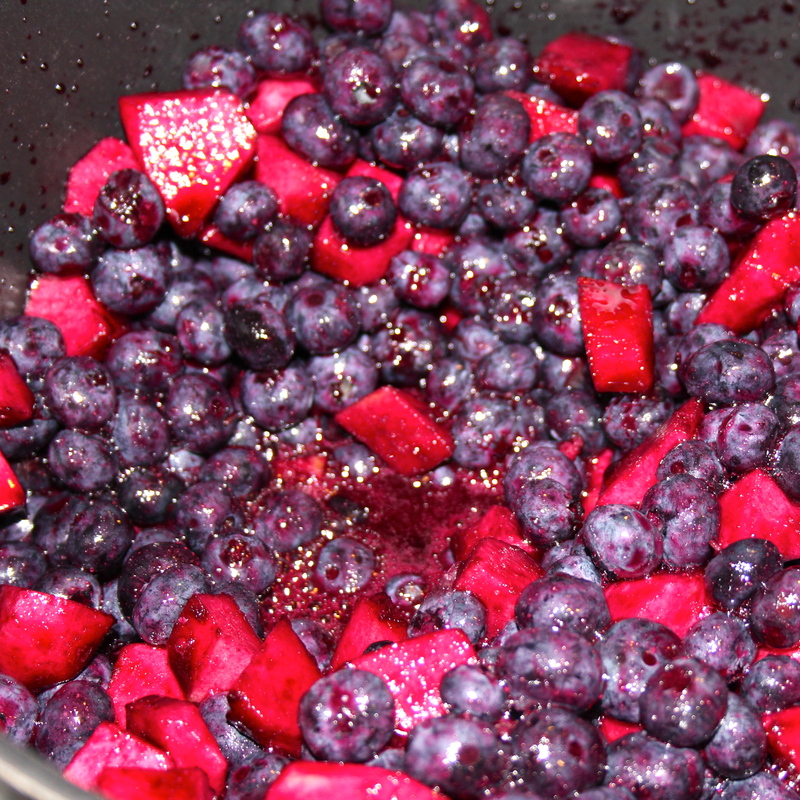 Last weekend I made Blueberry Fruit Spread and a low-sugar Natural Strawberry Jam. Yummmm! I’ve made jam before, but always gone the full-sugar route because I felt like too much of a novice to venture into other options. 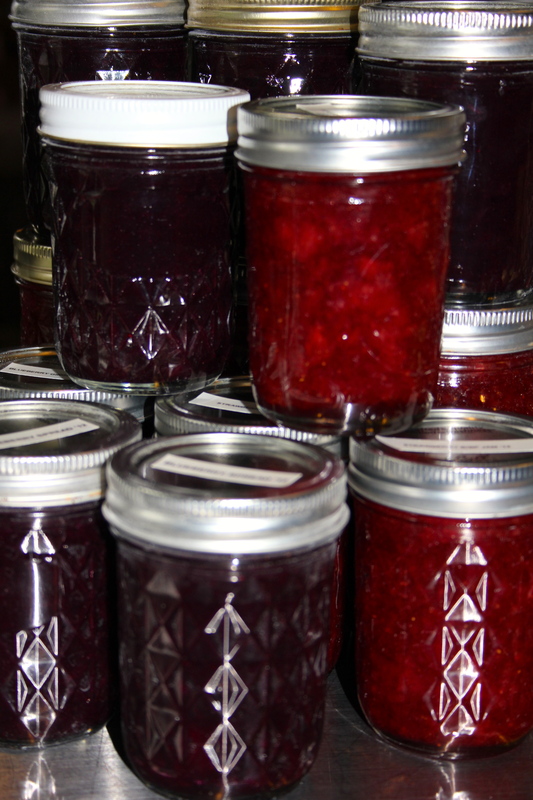 Well, this is my third year of canning so I’ve declared myself at intermediate skill level. Plus I really wanted to make some healthier options since I share the jams with people I love. About 60 minutes later … almost ready! I use a cookbook from the Ball Jars company, and it’s always been a winner for me. The Blueberry Fruit Spread is just three ingredients … blueberries, tart apples and frozen, unsweetened grape juice concentrate. Sounds easy and it basically was! I simply put everything in one big pot and stirred it until it reached “hard gel” stage. The difficult part … it took about 75 minutes of standing and stirring! 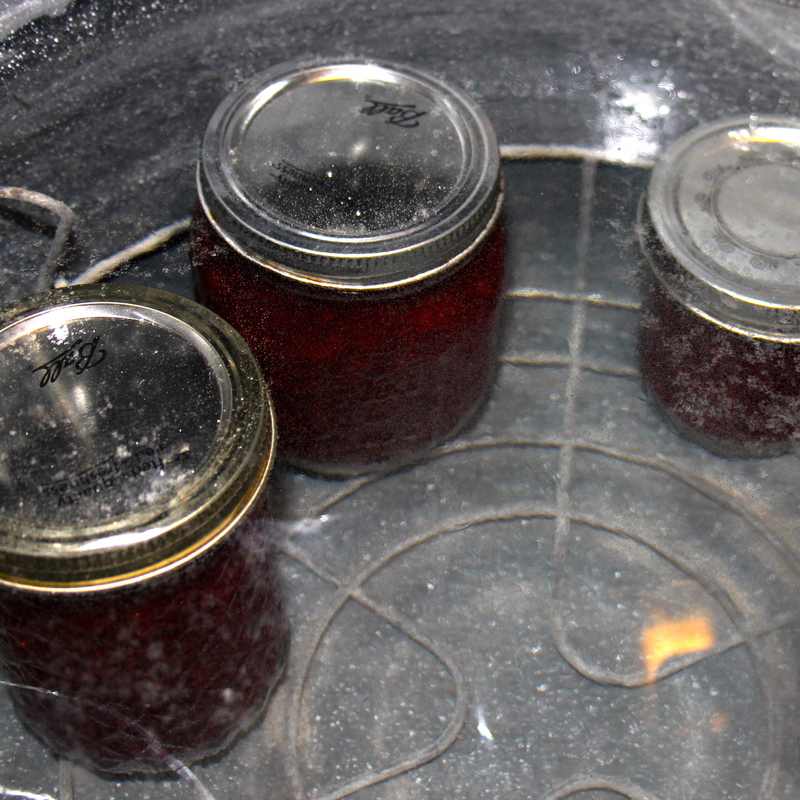 Here are a few jars processing in the water bath. 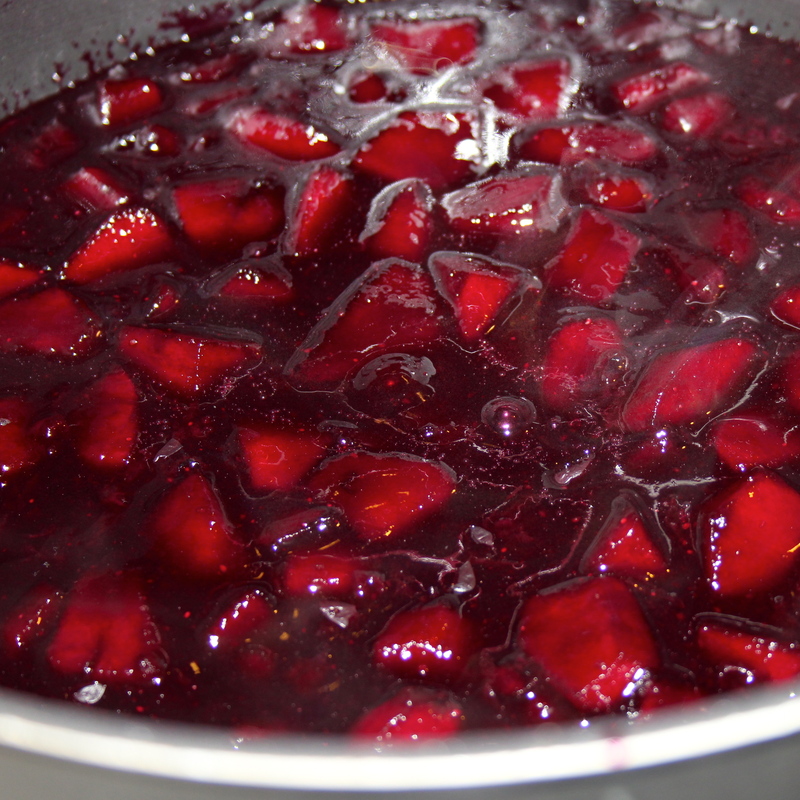 Once the jars are filled with fruit spread they go into the very large pot of hot water (shown above). They sit in boiling water for about ten minutes to create the lid’s seal. I snuck a little picture for you before the water started to boil too hard! Finished jars of gorgeous summer sweetness! I have to confess … we always open a jar of jam or spread right away. Even though we are preserving summer to enjoy in winter, these look just too wonderful to wait. But I promise when I can peaches and cherries, I will definitely save them all for January and February! Ready to get started with healthier food choices? The best way to determine what program is right for you is scheduling a FREE 45-minute initial health and wellness consultation. Simply call or email me today to get started!